There is nothing not to love about alpacas. For one, they have fleecey teddy-bear heads and run around like they’re dancing at the most adorable party on earth. 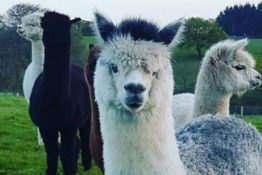 With their quirky personalities and long, goofy necks, it’s no wonder alpaca walks have taken off; with gooey-eyed humans queuing up to take a stroll with these curious, intelligent creatures. And now – through the magic of Airbnb – you can even stay at a lovely cottage complete with a field brimming with silky, prancing alpacas. 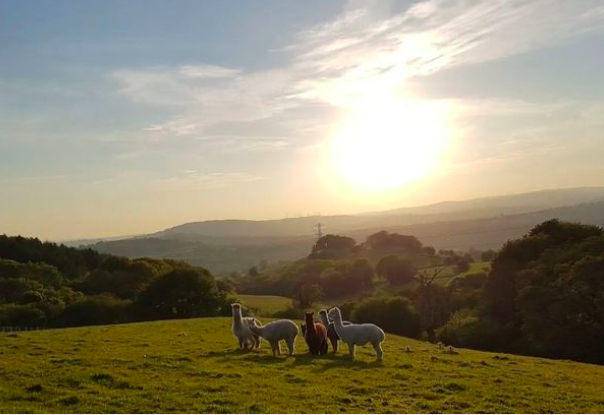 Based in pretty Pentyrch just outside of Cardiff, this is a truly unique getaway for those who love Wales but love Alpacas even more. Just imagine waking up in the morning to the gentle sound of alpacas humming as they go about their fluffy business. For just £45 for a night, this dream could be yours. The stay may even include a tour of the alpaca field, where you can learn more about these fascinating yet delightfully silly beauties. We live in the countryside, but are only 8 miles away from Cardiff (about 20 minutes travelling time) which is developing into one of the major European cities. Despite being in the countryside, we are easy to access via the M4/A470. Taffs Well railway station is a short distance away. Countryside walks, mountain bike trails, Garth Mountain beauty spot with views over Cardiff and the Severn Estuary. Not forgetting that you are very welcome to meet our herd of lovely alpacas! Guests will have their own cosy private room – complete with Wifi – and will even enjoy a ‘fantastic’ breakfast served by host Myra. So far the cottage has earned nine five star reviews, and it’s easy to see why. The hosts are wonderful and their home his beautiful. They also gave us a lift to the wedding venue to save us getting a taxi. The bedroom and bathroom was spotless and very modern. Our breakfast was gorgeous with plenty of everything which was all fresh. It was lovely to see their Alpacas who were very friendly. I would recommend these hosts and their amazing home to anyone looking to stay in the Pentyrch area. 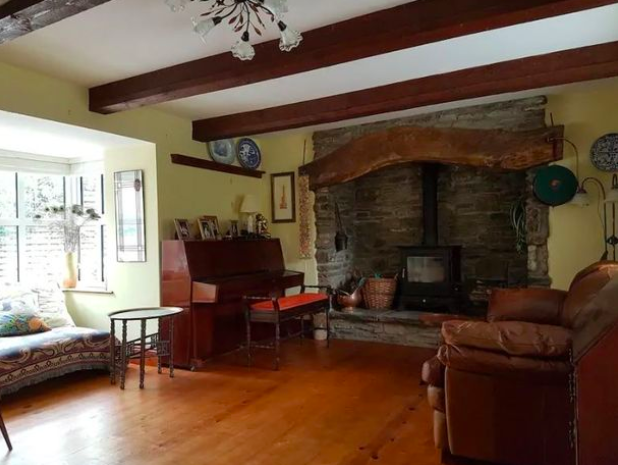 Lovely house, great facilities, very clean and tidy in a beautifully peaceful part of Wales. Myra and Phil were so kind and hospitable they truly went above and beyond to make sure we were taken care of. Amazing place hosted by amazing people, that have Alpacas! Can’t wait to go back. These place looks truly special and would make the perfect outdoorsy adventure before the wintery winds make recluses of us all once again. I’m sorry, but from now on I really must insist every weekend getaway includes a glorious herd of alpacas.